Don’t be intimidated. 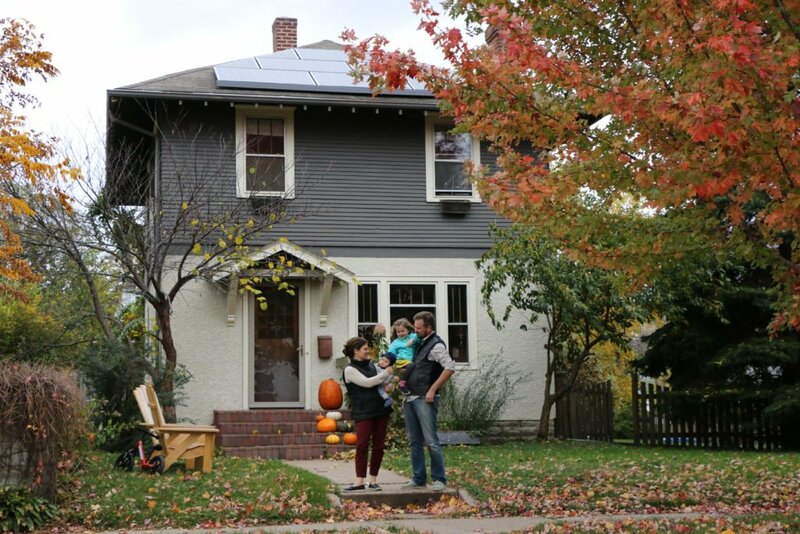 Rooftop solar is simple! Minnesota has good solar resources! It is a good investment! Julian and I are both solar enthusiasts who have worked in the renewable energy our whole careers. We met 10 years ago working for SolarCity (he was an installer, I worked on the engineering team) which was a start-up at the time and is now a subsidiary of Tesla. When searching for our first house to purchase, we stumped our real-estate agent by putting “good solar access” as our #1 priority. “Good schools” was #3 or 4, I think. I support solar energy primarily because of the environmental benefits – lowering our carbon footprint is a huge priority for me. Also because of the local market and job creation benefits, the ability to control my source of energy rather than leaving it to my utility, the technology aspect, so I can drive my electric car on solar power, the benefit that distributed resources provide to the grid, and because… it’s just so obviously the right thing to do. I did not anticipate that on a sunny day after a snowfall, I would obsessively refresh the monitoring software from my desk at work to watch for the snow to slide off the panels and my production to spike back up. It’s gripping. Don’t be intimidated. Rooftop solar is simple! Minnesota has good solar resources! It is a good investment! And, in my humble opinion, it’s the right thing to do. We were lucky to have the experience and expertise to install our systems ourselves with the help of friends in the biz. But had that not been the case, I would have been thrilled to find a resource like Solar United Neighbors. It’s such a great concept that can help people make informed decisions with confidence. Lean on them and go solar!